I prepared this hummus to go along with the pita I bought from a recent trip to a pita factory. 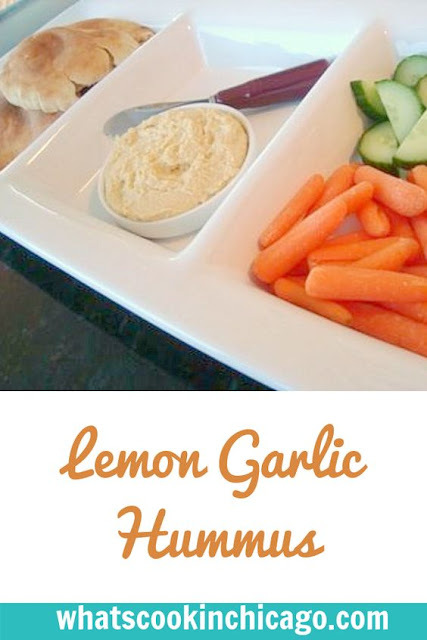 I especially liked how the addition of lemon juice really made the hummus more light and refreshing. This is great to have on hand, especially if you have guests coming over and need an easy appetizer! In a food processor, add all the ingredients above and process until smooth. Serve with pita or fresh vegetables. I love hummus, and this looks like a super light, refreshing dip for the summer! Yum! Hummus is one of my favorite snacks. I have some in my fridge right now, but the store-bought stuff is not as good as homemade. Your recipe is inspiring me to make my own!